A lot of people enjoy giving advice, especially when it comes to those remodeling projects that you’re going to be starting. Make sure that you take their advice kindly and know that sometimes people give great advice! Having good advice can help you choose the best contractor, it can help you have the best experience and it might also help your bathroom look nicer in the long run. 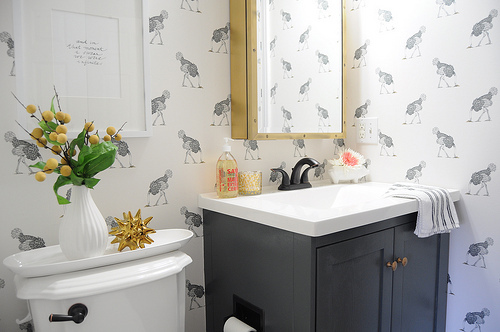 Of course, not all advice is good advice but here are some great tips to keep in mind when it comes to starting that bathroom remodeling project that you’ve been planning. This is great advice that any homeowner should take. When it comes to a bathroom remodel, you want to work with someone that is not only professional but experienced in what they do. This can be done through checking references, looking at reviews and of course, speaking with them and asking them questions. Working on a budget is always one of the biggest recommended ways to go. Of course, having a little wiggle room is ideal when you want to plan for the unexpected, but having an idea of how much you can safely spend is the best way to go. When working with a professional, they are going to ask what you want from the bathroom remodel. Having an idea of what to tell them when they ask this is always a great thing. They can then take your likes and turn them into something beautiful when remodeling the bathroom. Paint it a lighter color and go for smaller items. You don’t want to place a huge tub in a tiny bathroom. Make sure to make it stand out when you choose smaller items that fit nicely and compliment the space. This is what is going to make it look much bigger in the long run. Want to get your bathroom remodel project started? Call us or fill out the form below to find the right contractor for your remodel project.